Choose Us for Mardi Gras Pet Boarding This Year! Mardi Gras is just a few months away, and it’s never too early to begin planning how you’ll celebrate in the Big Easy this year. It’s important to make sure that your furry friends are taken care of while you’re away, so in today’s post, we’ll explain just a few of the reasons why you should choose Clearview Veterinary Hospital for Mardi Gras pet boarding this year. When you’ve finished reading this post, give us a call at 504-323-1156 or fill out the form at the bottom of this page to request more information. If you’re booking a hotel in one of New Orleans’ most popular Mardi Gras hotels, or staying with friends in the heart of the city, then bring your four-legged feline to Clearview Veterinary Hospital. You don’t want to have to miss out on the festivities just to go home and change the litter box or fill up a water dish, and asking a neighbor to look after your pet can often create separation anxiety. Moreover, the noise from the city often frightens both cats and dogs, and the last thing you want is for your furry friend to be scared during one of the most fun weeks of the year. We offer cat boarding in Metairie for just $20 per night, leaving you with plenty of money to spend on the week’s festivities. 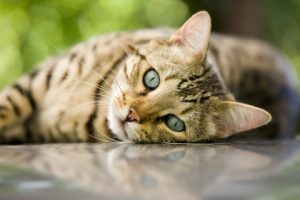 While it’s important for cats to receive attention throughout the day, dogs require much more human interaction in order to remain happy and comfortable. Most dogs have energy that needs to be released throughout the day, and you don’t want your pet to go stir crazy while you’re in a parade or indulging in some of the best Mardi Gras delicacies. 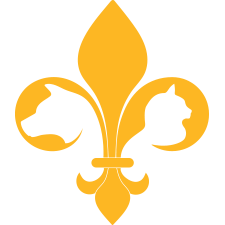 When you choose us for your Mardi Gras dog boarding, you can rest assured that your furry friend will have as much fun as you do! We provide daily walks, exercise, and plenty of playtime for all of our canine guests, and we can even give them a bath if they’ll be staying with us for more than five days. Our pricing ranges from $23 to $36 per night, depending on the size of your pet. Call us at 504-323-1156 to request more information! Why Choose Clearview Veterinary Hospital? At Clearview Veterinary Hospital, our mission is to help you have as much fun as possible during Mardi Gras. We like to think of our space as a pet hotel, and we know that your dog or cat will love the clean environment and welcoming amenities! Our experienced veterinarians and technicians know how to make your pet feel right at home and ease any separation anxiety they may be experiencing. Whether you’re going to Mardi Gras for two days or the entire week, you can feel great about leaving your pet in our hands. 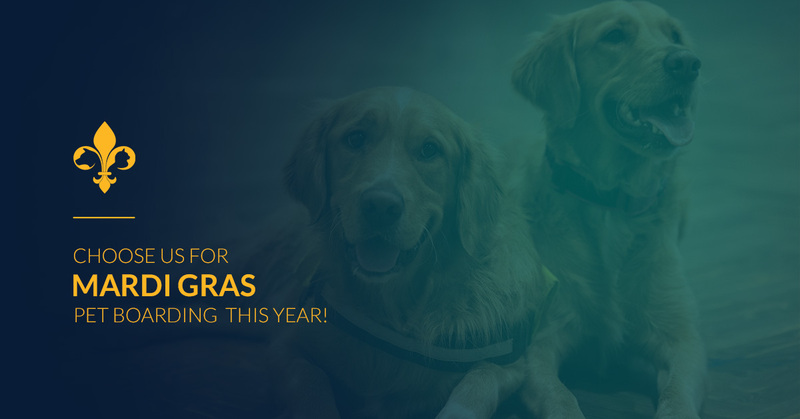 Request more information about Mardi Gras pet boarding through our contact page, or fill out the form below. We look forward to seeing you and your pet this March!